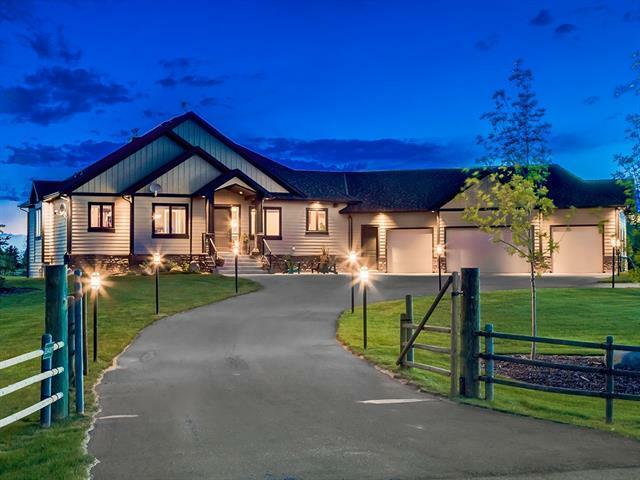 LUXURIOUS BUNGALOW W/OVER 4288 SQ FT of CUSTOM development, located on the hillside w/4.45 HORSE FRIENDLY ACRES w/INDUS AIRSTRIP ACCESS + TAXIING lane, R.V. PARKING, QUAD garage, FULLY LOADED 1514 sqft HEATED WORKSHOP w/2 CAR LIFTS, 2pc bath, laundry + sink station! 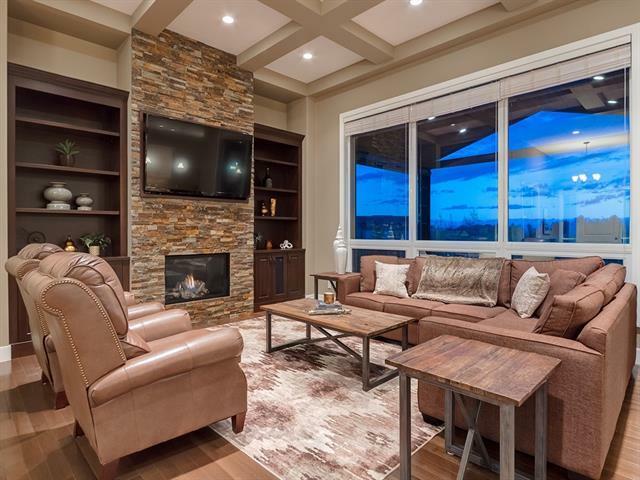 EXECUTIVE Open Concept layout features 3 FULL BATHS + 4 BDRM's incl the MASTER w/5pc EN SUITE w/SOAKER TUB + DREAM W.I.C! 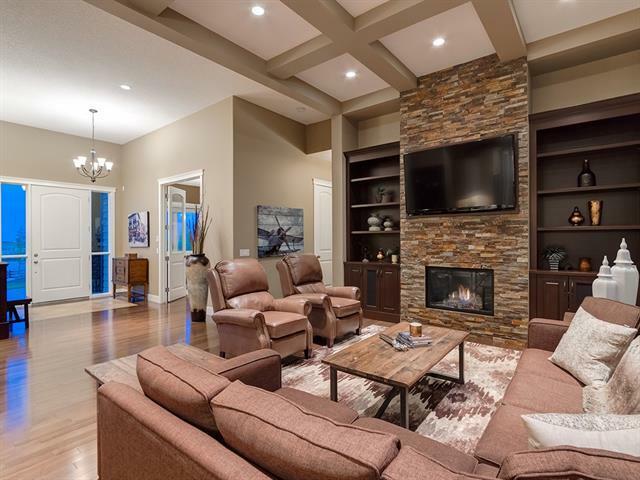 GRAND Foyer, WARM HARDWOOD flrs, 10 + 12' CEILINGS throughout, FRONT OFFICE, LIVING rm w/STONE GAS F/P + BUILT-INS, COFFERED CEILINGS, CORNER BAR, Dining area w/MOUNTAIN VIEWS, BEAUTIFUL Kitchen w/2-TONE Cabinetry, BRICK style B-SPLASH, HIGH END APPL's, GRANITE counters + ISLAND, WALK THRU PANTRY, 2pc bath, LRG MAIN flr LAUNDRY, MUD rm + 1/2 bath! 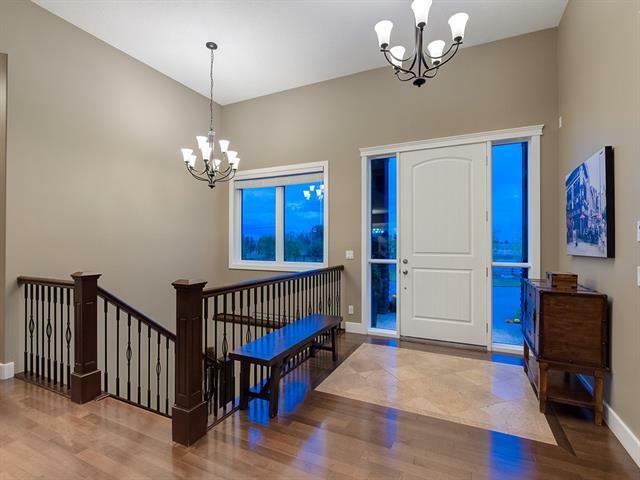 GORGEOUS WALKOUT bsmt w/3 BDRM's, 2 additional baths, SPACIOUS Family rm w/GAS F/P, WET BAR, HUGE REC rm , Storage + Utility rm. EXTENSIVE Landscaping w/FULL Irrigation, LRG PATIO, GAZEBO, Bridge, Pond, FIRE PIT, SHED, Invisible Dog Fence, Curved stairs to the COVERED DECK! WOW!